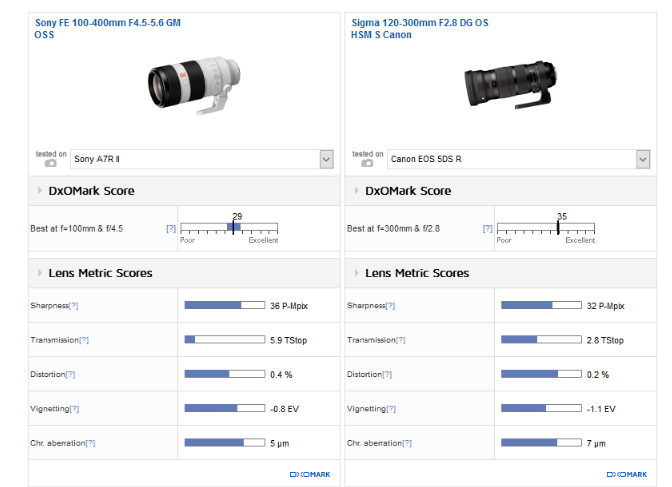 Kevin Carter has just tested the new released Sony FE 100-400mm f/4.5-5.6 GM OSS Lens at the DxOMark. 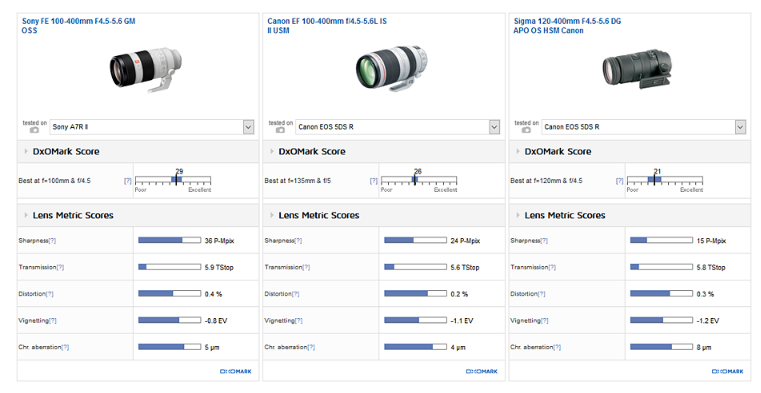 This is an important addition for Sony full-frame E-mount cameras such as the action-oriented Sony A9 and Sony A7 variants. 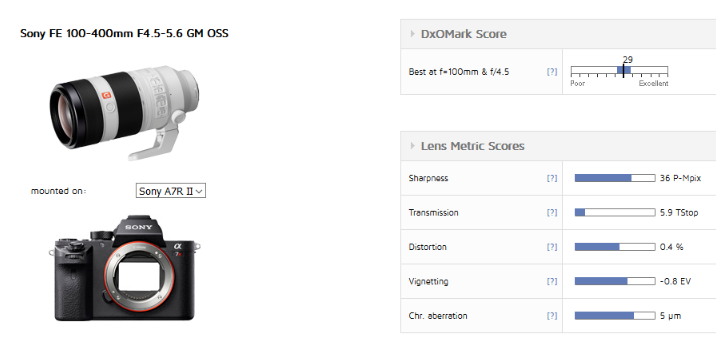 With the overall score of 29 points tested on Sony A7R II, this new telephoto zoom has very high levels of sharpness, low fringing and vignetting.